HASTA SHILPA HERITAGE VILLAGE MUSEUM at Manipal, in the coastal region of India's Karnataka state, is an open air museum and cultural complex which aims to restore and conserve the nation's cultural wealth in the form of traditional buildings and objects of art, craft and other artefacts of aesthetic interest. 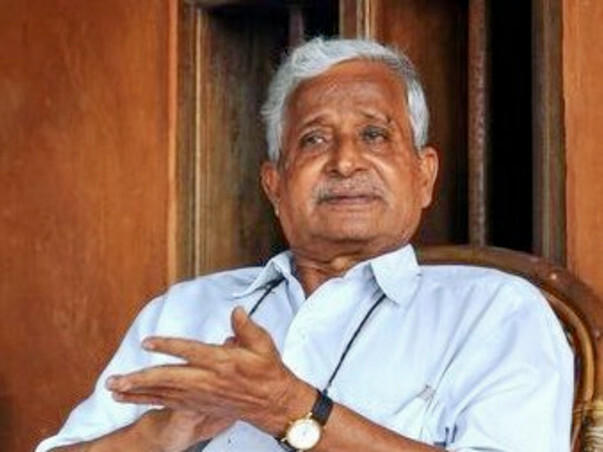 The brainchild of late Vijayanath Shenoy (1934-2017), a retired banker who converted his own home into an ethnographic museum, Heritage Village is managed by the Hasta Shilpa Trust. Over the last two decades, the Trust has relocated and restored 26 structures of immense architectural merit and fine craftsmanship. It is, indeed, a veritable treasure trove. 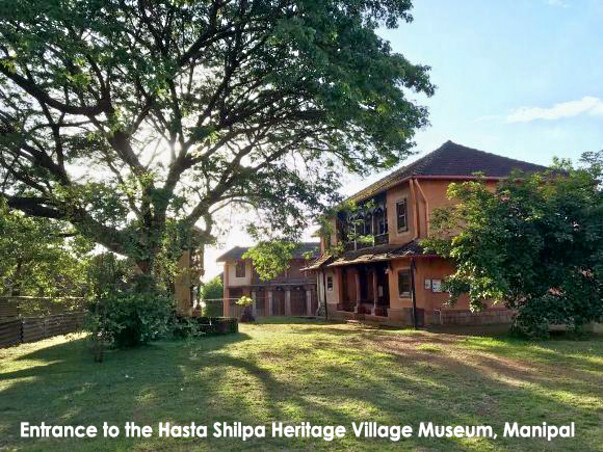 Hasta Shilpa Heritage Village Museum is currently managed by The Hasta Shilpa Trust which is a not for profit public charitable trust started by late Mr Vijayanath Shenoy. It is registered with the Government of Karnataka. It stands for restoration, conservation, preservation and promotion of India's fast-vanishing architectural heritage and material culture within the larger framework of the arts. It also supports the development of knowledge and human resources in the arena of the arts, crafts and culture. 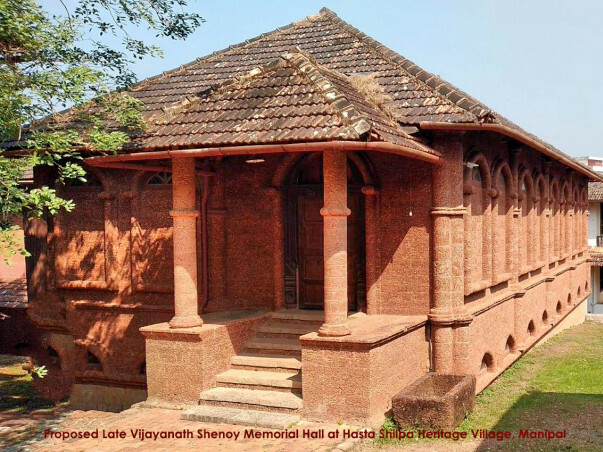 In tribute to the extra-ordinary work done by late Mr Shenoy, The Hasta Shilpa Trust is proposing to convert an existing restored structure as ‘Vijayanath Shenoy Memorial Hall’. The fund requirement to complete the said project, we request the general public, well-wishers and donors to participate in this noble venture. The budget is INR. 25 Lakhs. The renovation of the Late Vijayanath Shenoy Memorial Hall is in progress and we will be posting the images of work in progress and the work being done shortly. We thank all our respected supporters who supported this project. Still more work has to be done which needs more fund. Please donate generously. We sincerely thank you for your kind support. 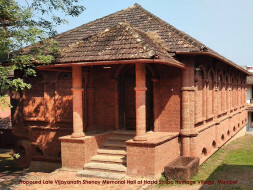 The restoration/renovation of Late Vijayanath Shenoy Memorial Hall has started and is in progress. We will keep you posted with pictures of work in progress in our next coming updates. 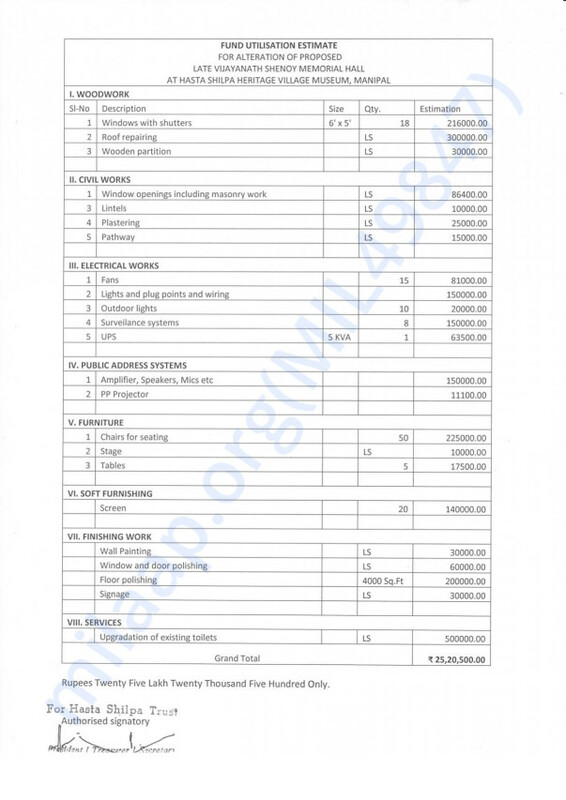 Procurement of raw materials and accessories have started and needs more and more funds. Hence requesting our respected donors, well wishers and supporters to come forward and help us in completed this prestigious project. Dear Donors, being a prestigious project and a tribute to Late Sri Vijayanath Shenoy, the budget required for this needs more and more supporters and well wishers to join hands with us. In order to facilitate our such supporters, we have extended our end date. Please keep supporting us. Thank you for your love. Thank you bery much maam..